Property Location Located in Newark (Christiana), Residence Inn by Marriott Wilmington Newark/Christiana is convenient to Omega Shops Shopping Center and Christiana Mall. 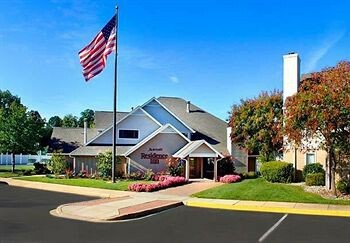 This hotel is within close proximity of Christiana Care Health System and Windy Mill Park.Rooms Make yourself at home in one of the air-conditioned rooms featuring kitchens with full-sized refrigerators/freezers and stovetops. Cable programming and video-game consoles are provided for your entertainment, while complimentary wireless Internet access keeps you connected. Conveniences include desks and separate sitting areas, and housekeeping is provided daily.Rec, Spa, Premium Amenities Don’t miss out on recreational opportunities including a spa tub and a seasonal outdoor pool. Additional amenities include a fireplace in the lobby, barbecue grills, and complimentary use of a nearby fitness facility.Dining A complimentary buffet breakfast is included.Business, Other Amenities Featured amenities include express check-out, complimentary newspapers in the lobby, and dry cleaning/laundry services. Free self parking is available onsite.